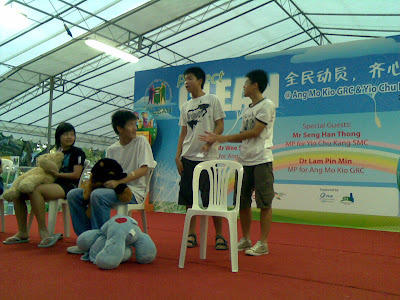 On the 7th and 8th of June, students from both The Ess Army and the Youth Environmental Guardians (YEGs), all of which comes from Mayflower Sec, will be participating in the Enterprising Retailing Team Challenge 2008 at Anchor Point to raise funds for Animal Concerns Research & Education Society (ACRES). There, our students will be promoting our 100% organic insect repellent, Shoo Mozzie. We'll explain to them why everyone should choose organic insect repellant over the industrially manufactured ones, through which we will also spread the word of its effects such as climate change. We do hope that by going through this experience, we will be more confident in selling our remaining bottles of Shoo Mozzie, gain more experience in handling queries by the public regarding The Ess Army and climate change, and of course, further spread the importance of saving the earth. We wish to extend an invitation to your students to participate in The Enterprising Retailing Team Challenge 2008, jointly organised by Yuying Secondary School, the Association of Commerce Educators Singapore (ACES) and the National Institute of Education (NIE). The main objective of this competition is to engage and enrich the enterprising spirit of the participants by giving them the opportunity to operate a business venture on 7 and 8 June 2008 in the retail sector at Anchor Point. We also hope that the accompanying teachers will tap on this opportunity to network and explore the possibility of future collaboration among the cluster schools. To be eligible for the competition, participants will have to attend a one-day workshop on financial literacy and enterprise training on 30 May 2008. Details of the workshop are attached. Each school can send up to a maximum of 30 students to the workshop. Participants could include students taking Principles of Accounts (POA) or Elements of Business Skills (EBS). Upon completion of the workshop, 10 students from each participating school will move on to the Enterprising Retailing Team Challenge. Prizes will be awarded to the top three schools which have the highest earnings for the two-day venture. We would appreciate it if you could complete the registration form attached and return it via fax (62871607) by 30 April 2008 to help facilitate our planning. A NIL reply is appreciated. 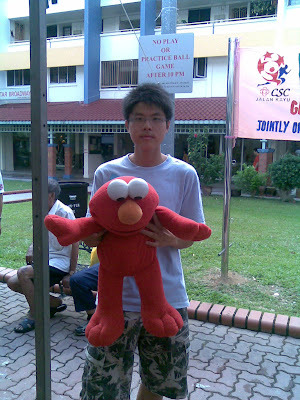 Please feel free to contact Mdm Soo Sio Koon at 98341637; email: Soo_Sio_Koon@moe.edu.sg should you have any enquiries. Further updates on the event will be sent to schools that have registered. We look forward to your students’ participation. On 25th May, 1 day before the GCE Chinese 'O' Levels, 5 students from The Ess Army went to participate in the Ang Mo Kio GRC and Yio Chu Kang SRC Project Clean. There, they set up a booth with banners made earlier this week and performed a skit on stage to help encourage keeping the environment clean. MPs for Ang Mo Kio GRC, Mr Wee Siew Kim and Dr Lam Pin Min, together with Mr Seng Han Thong, MP for Yio Chu Kang SMC were also there to help spread the message, our soldiers interacted and help pick litter with the MPs. Here is our booth, where our banner is put up to share with the residents the impact of climate change and how we can stop it. 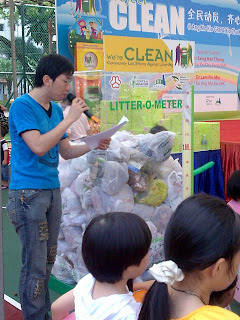 Here, Chong Junn, who acted as the father, teaches his "children" about the importance of keeping yourself and the environment clean. 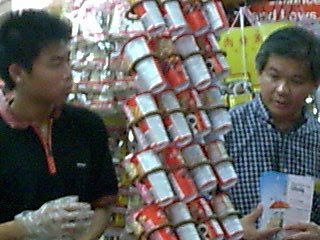 Mr Wee promoting the need of having a clean environment for the stall vendor while Yong Qing,our member was listening attentively. Professor Vilma (second from left) and and Celiene (far left), founders of the Cicada Tree Eco Place, were also there to lend us their support. 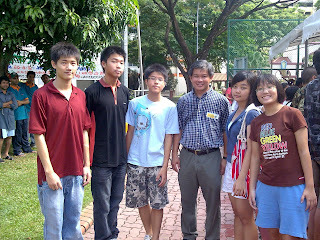 At the end of the event,THE ESS ARMY posed for a picture with Mr Wee. Today's event was great and I enjoyed it as I gain a lot of new experiences. My friends and I put up a skit about 'how to be clean and healthy' in front of Ang Mo Kio and Yio Chu Kang MPs. Of course we were very nervous as all of them sat right in front of the stage, but we overcame our fear and did it. Yuxi's mic was not working properly and he had to shout, I hope that everybody could hear him as his lines were all very funny. The purpose of our skit was to tell people and kids on how to keep themselves clean and healthy. We shared the danger of living in a dirty environment with them, as it could spread diseases very quickly. Thus, we urged them to: 1.wash their hands before they eat, 2.throw litters to the litter bin, 3.ensure that their toilets are clean. Our skit was very simple and easy to understand and the message was clear. Earlier on, we talked to Mr.Wee Siew Kim, the MP of AMK GRC. He is a very nice man and thanked us for being there to help to conserve the environment. He said that today, the issue of climate change and global warming is very popular and each and everyone of us have to take part to save the world from these emerging problems. 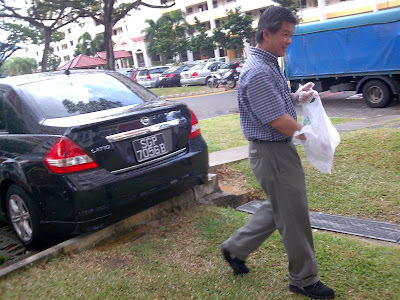 We also took picture with him and followed him and other MPs walked around AMK Ave10 to pick up some litters. Those litters would be accumulated into a litter meter box. 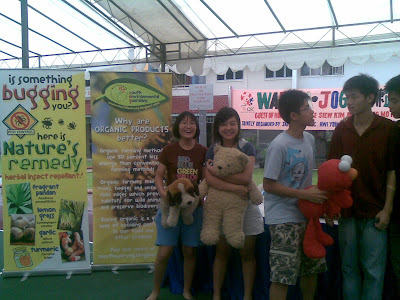 We actually set up a booth to help to promote Shoo Mozzie, the organic insect repellent. By doing this, we hope that people would stop using their current insect repellent and use shoo mozzie instead. It is environmentally friendly and is made up of locally available renewable resources. It will not endanger anybody and it is nice smelling too!! I hoped that we had done something useful to the environment and contribute something to the society. I wish that people are now aware of their surroundings and are moved to keep their environment clean. It was a beaufitul sunday. 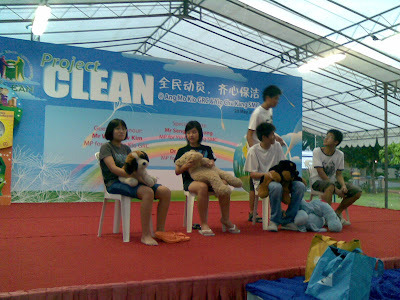 Tanya, Jill, Yu Xi, Chong Kunn and I woke up early in the morning for a community project: Project CLEAN. When we first reached there, we set up our booths before Jill and I had our breakfast. After awhile, the MP came and we introduced the organic pesticide to him and his entourage of grassroots helpers. 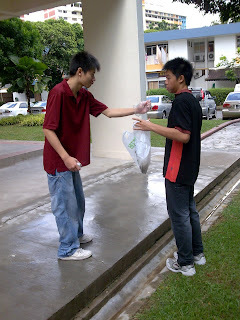 Chong Junn went up to him to introduce the Shoo Mozzie. As Chong Junn introduced the Shoo Mozzie to the MP, I realized something. People in Singapore are really enthusiastic about environmental problems. The only obstacle they face is that there are simply insufficient talks and community projects to educate them on environmental awareness. I sincerely hope that my friends and I can do our part in environmental awareness. We hope that through the worldview 360 competition, we can do our part in promoting environmental awareness and come up with ideas that will be beneficial to the environment. At around 9:30am, we performed our skit. I guess I can summarize our performance in one word- ecstatic. We thoroughly enjoyed the process of educating the public on environmental awareness as well as their health. What really gave us the drive to do well was the audience. My group and I really appreciate their kind attention. After our skit and a short talk by the MP, Yuxi, Chong Junn and I followed the MP to collect litter around the neighbourhood while Tanya and Jill followed the Ang Mo Kio SMC group to collect litter in another part of the neighbourhood. As we picked up the litter with the MP, I really felt honoured. I was really touched by the MP's effort. Despite being very busy, he could still take out some time for this event. As he picked up the litters, I felt that since the MP is also doing this, then why not the people. 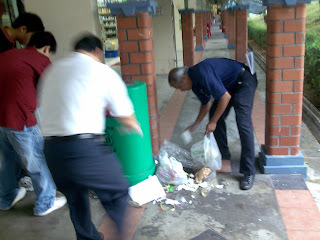 After picking up the litters, we threw all our litter bags a big bin. I was really surprised that the litter collected in the neighbourhood could reach a height of 1m. At that instant, I felt that if everyone could do their part, then less money would be spent on making new products that will be exploited from the environement as more can be recycled. At the end of the event, I felt a sense of achievement because i strongly believe that what i have done today will leave an impact on the residents living there as well as raise their awareness on environmental problems. 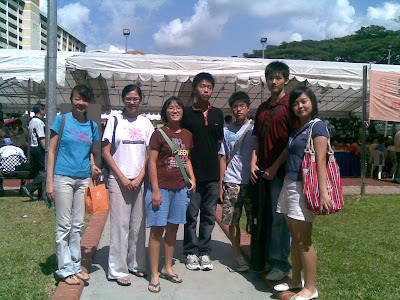 On 25 May2008, Jill, Yu Xi, Yong Qing,Tanya and I participated in the Project Clean at Ang Mo Kio Avenue 10.We set up our booth in the area and started promoting climate change to the residents there. As it was early morning, most of the audience were young children and senior citizen.These were also the audience we wanted as they are the age groups that are the least exposed to climate change message. Young children still are not educated about the imminent threat of climate change because lower primary school education does not include this topic in depth. Thus we feel the need to start sharing with the youth.Senior citizen too as it was until around1970s then scientists agreed on global warming. 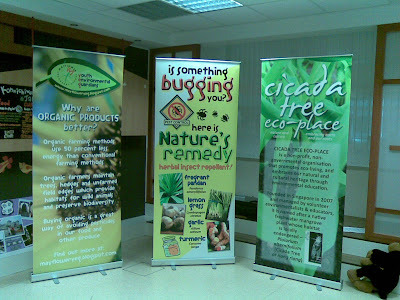 We also introduced our banner to Mr Wee Siew Kim,MP of Ang Mo Kio GRC who agreed in the importance of promoting climate change and applauded us for our efforts to also promote SHOO MOZZLE, an organic insect repellant where production of it will has lesser carbon emission than conventional ones. Next,we also performed a skit named A Clean and Healthy Me.The skit was to educate young children on how to be clean and thus be healthy.The skit was short and simple but have clear message-to have proper hygiene standard by washing hand,stop littering and keeping toilet clean.We hope that through this skit,children will stay healthy. To ensure a sustainable clean estate, every resident needs to do his/her part in helping to keep the estate litter-free. That was the message at the CLEAN @ AMK launch on Sunday, 25 May. MPs for Ang Mo Kio GRC, Mr Wee Siew Kim and Dr Lam Pin Min, together with Mr Seng Han Thong, MP for Yio Chu Kang SMC were on hand to help spread the message. Leading by example, the MPs with grassroots leaders, residents and students helped picked up litter and distributed CLEAN educational leaflets. CLEAN is the acronym for Community-Led Efforts Against Littering. The campaign was jointly organised by grassroots organizations of Ang Mo Kio GRC and Yio Chu Kang SMC, together with the support from NEA and town council. Litterbins brightened up with designs painted by students in the bin art competition were deployed around the estates after the launch. The NEA will follow up with the Resident Committees to monitor the cleanliness of void decks, lift lobbies, walkways, car parks and playgrounds. Look out for the results, which will be posted on RC notice boards. So do your part and keep your estate clean! The newsletter can be found here. However, since the website has not been updated, it does not show the most recent newsletter. They are here. 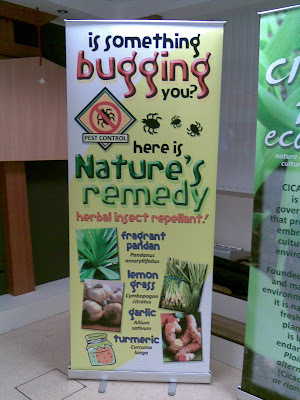 The pull up stand that will be used to for our road show to promote Shoo Mozzie. Here, one of the studnet is a stand next to the stand as a scale to let viewer see how tall is the stand. This is a more eco-friendly solution for our marketing effort then to use paper poster for our road show as these pull up poster can be re-used for many road shows. 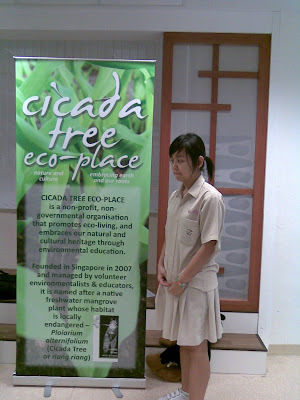 On 21st May 2008, we made 1000 bottles of Shoo Mozzie, an all natural insect repellent that was develop by an environmental NGO called Cicada Tree Eco-Place. Here, the supplier of the all natural 100% organic ingredients, Mr Jacob Lai, the director of a company called Skin Plus, is on hand to teach us how to make Shoo Mozzie. He stressed the importance of ensuring that all the bottles are sterilised before we start production. Mrs Koh ad Ms Sherri Ng our geography teachers, listening and learning about the properities of lemon grass and aloe vera. Ms Faridah, was also there. She ensures that quality control is of the highest standard. We will be promoting the benefit of using the all natural organic product at this event Oon Sunday. THE haze could hit harder and sooner than expected - it is only a matter of when. All it will take for the acrid pall to blow towards Singapore, is a change in wind direction - unless bushfires burning there are quelled soon. In any case, south-westerly winds are expected to strengthen during the June-September monsoon season, added Prof Roth - bringing the acrid pall back over Singapore. But one thing is for sure - slash and burning in Indonesia has started. Hundreds of hotspots have appeared over the past few days, reported the Indonesian meteorological service. Over 850 hotspots were counted last week(May 12-18), up from just 130 the week before (May 5-11), said the NEA. The Asean (Association of South-east Asian Nations) Agreement on Transboundary Haze Pollution was signed in 2002. Yet not surprising, only Indonesia, where most of the fire occur, is the only country that has not ratified it. According to Mr Alvin Lie, a legislator from the National Mandate Party, the benefits of ratifying the pact are smaller compared to the obligations. With ratification, Indonesia would be obligated to introduce legislation and measures to promote zero-burning policy. Before Indonesia’s neighbours begin to criticise Indonesia for dragging it feet, we must understand Indonesia’s point of view. Banning or curbing clearing the forest by fire might prove to be an unpopular legislation. The late Indonesian President Soeharto renewed a ban on this practice of slash-and-burn (S&B) as a means of land clearing in 1997. But this practice continued till today and prosecutions take time. Thus few small holding farmers have stuck to this ban. Clearly the advantages of using S&B out weight the prospects of being charged in court. S & B clear space while the ash acts as a fertilizer. In addition, burning allows the seedling to grow faster as the soil structure is improved and weeds are prevented from growing. Finally, this method reduced the possibility of diseases and pests as the burning acts as a form of sterilization. Unless alternatives to S&B bring about similar benefits, Indonesia farmers will not be motivated to stop this practice. For example, clearing the land and removing the wood only clear the space for the farmers without the additional benefits that S&B brings. Farmers would then have to spend money on fertilisers, insecticides and herbicides which would add to the cost of production. Thus, the possibility of farmers abandoning this method or considering an alternative method is slim. Yet, S&B is known to deplete forests and biodiversity, contribute as much as 25 % to global warming. Each year in August, the farmers in Indonesia are expected to clear the land using this method. What can Asean do to motivate the farmers to stop S&B to clear land? One possibility is to bring direct foreign investment (DFI) in manufacturing into the agricultural areas while consolidating the small holding farms own by these farmers. Once the farmers earn more income by working in the factories, they would be willing to give up being farmers. Meanwhile their farms can be consolidated so that these farms can be operated in an extensive, large scale operation like the plantations in Malaysia. Malaysia does not use the S&B method to clear the land and have been able to make plantation a profitable and viable economic alternative compared to small scale farming. Perhaps Singapore should take the lead by bring more DFI into Indonesia. It could provide training for the farmers to equip them with the skills to work in the manufacturing sectors while other Asean members like Malaysia and Brunei can start to invest in Indonesia. Concerned developed countries like USA, Britain and the European Union can now play a direct role in helping to reduce the carbon footprint of Indonesia by following suit. It has been demonstrated empirically that as a country develop, the portion of its population working in the primary agricultural sector will decrease. If Asian can collectively offer this carrot, I am sure that Indonesia will find that the benefits of ratifying the pact are bigger compared to the obligations that signing this pact will bring. Fighting the haze can no longer be seen as a national issue with Indonesia being the sole fire fighter. Neither can we focus on fighter fighting strategies like mobilising resources to fight the fires triggered by S&B practices. Unless there is a significant wind of change, we can expect the fire in Indonesia to continue burning. "Tigers and elephants are fleeing the burning jungles. Birds are falling from the murky skies. School children are fainting at their desks. Ships are colliding at sea." "As a filthy haze from vast Indonesian forest fires continues to darken the sky across seven South-east Asian nations, illness, ecological destruction and economic hardship are growing... "
After reading the above extract from The New York Times, you can be forgiven for thinking it describes the haze we have been experiencing over the past few days. In fact, this article was published on Oct 26, 1997. Nine years have passed and the solution to this ecological disaster still seems hazy (pun intended).After surviving the 1997 haze, we should have put in place a set of protocols agreed upon by Singapore, Indonesia and Malaysia to prevent this from recurring. This was partially achieved when the Asean (Association of South-east Asian Nations) Agreement on Transboundary Haze Pollution was signed in 2002. Its objective is to prevent and monitor haze pollution as a result of land and/or forest fires which should be mitigated, through concerted national efforts and regional and international cooperation. The problem is that as of August 2005, only seven out of the 10 member countries have ratified the agreement. Indonesia, where the fires originate, has yet to ratify the treaty. If nothing more is done, the same excerpt quoted above might be used to describe the situation five, 10, even 15 years later.Apart from the short-term effect of the haze where the effect on human beings is most noticeable, the haze also has long-term serious consequences.According to Mr Klaus Toepfer, the United Nations Environment Programme's executive director, a study by 250 scientists released in 2002 showed that "the thick brown haze which forms over much of Asia during the tropical dry season could have profound effects on human health, crop yield and rainfall patterns in the Asian region". It is reducing the amount of sunlight reaching the tropical Indian Ocean surface by as much as 10 per cent, with a larger percentage reduction over the Indian subcontinent.Up till now, the haze has been dealt with as a national problem of Indonesia. It is easy to point the finger at corrupt local officials who turn a blind eye to allow plantation owners to continue clearing their land by setting fire to it.Similarly, it is easy to send satellite photographs of the hotspots and expect Indonesia to take action against the plantation owners, or to offer fire-fighting equipment.Perhaps there is a need to change the way the haze problem is approached. As the Asean agreement so aptly indicated, the haze does not respect national boundaries. It goes where the wind blows. Hence, the ownership of this problem should not rest on Indonesia's shoulders alone. But what can we do as we do not wish to intrude on Indonesia's sovereignty?Perhaps a fund can be set up to provide plantation owners and farmers with incentives to clear the forest in other ways. An educational campaign could be embarked on to get farmers to look beyond their individual needs to the collective need of Asia.This would be difficult. But if an effort is not made to change mindsets, the haze problem will continue. The recurrence of the haze has shown that this crisis cannot be solved at the individual or national level alone.Are we ready to play a more active role, or do we continue to be content to breath in air with a PSI that exceeds 100, as it did on Saturday?The choice is clear. LET'S get one thing straight — the Happy Planet Index (HPI) that ranked Singapore 131st out of 178 countries does not actually measure happiness as we know it. It is an innovative measure of how efficiently a nation converts the planet's natural resources into long and happy lives for its citizens. The word "happy", by which many have been seduced, is just one component of the index. So it is wrong to assume that nations that score low in this index are the unhappiest places in the world. A low score says quite something else. To properly understand this, we must look at the three basic components of the index. These are life satisfaction, life expectancy and ecological footprint. The HPI is arrived at by multiplying life satisfaction and life expectancy (the result being an indicator of a happy and long life), and dividing that by the ecological footprint (that is, how much planetary resources are consumed). In short, the HPI represents the efficiency with which a nation converts the earth's finite resources into well-being for its citizens. Singapore scored 6.9 for life satisfaction, 78.7 for life expectancy, and 6.2 for ecological footprint. The first indicates that Singaporeans are generally satisfied with their lives — not a bad score, considering the highest was 8.2, achieved by Switzerland and Denmark. In life expectancy, we outperformed the United States (77.4 years) and just tail Australia (80.3 years) and Japan (82 years). Since life expectancy reflects a country's medical conditions, that's something to cheer about. So why did we score so badly overall in the HPI? This happened because we had a very high ecological footprint measure. This indicator measures how much of the planet's environmental resources are used up to sustain a nation at its present levels of consumption, technological development and resource efficiency. The higher a country's ecological footprint score, the more that country uses up the earth's resources, and the bigger its global environmental impact. The beauty of the ecological footprint indicator is that it takes into account the fact that, in a global economy, people consume resources and ecological services from all over the world. So, a coffee plantation in Brazil, for example, will count towards the ecological footprints of all the countries where Brazilian coffee is consumed. Now, since Singapore apparently leaves such a big ecological footprint, we should consider why we consume so much of our planet's resources. Some will suggest that this is an inevitable by-product of our economic development; others, that our high standard of life makes it psychologically far easier for us to donate money to save an endangered elephant, than to give up a car, switch off the air conditioner or reduce the use of plastic products. Ultimately, we have to face this uncomfortable question: Can we live long and satisfied lives without using up so much of the earth's resources? Top-ranked Vanuatu proves it is possible. But we are not Vanuatu. Can Singapore find a way to outperform Vanuatu? It will be a challenge to each and every one of us. You can also calculate your own HPI in this website. What Did Bill Clinton Mean By "We Just Have to Slow Down Our Economy" to Fight Global Warming? In a long, and interesting speech, he characterized what the U.S. and other industrialized nations need to do to combat global warming this way: "We just have to slow down our economy and cut back our greenhouse gas emissions 'cause we have to save the planet for our grandchildren." At a time that the nation is worried about a recession is that really the characterization his wife would want him making? "Slow down our economy"? I don't really think there's much debate that, at least initially, a full commitment to reduce greenhouse gases would slow down the economy….So was this a moment of candor? He went on to say that his the U.S. -- and those countries that have committed to reducing greenhouse gases -- could ultimately increase jobs and raise wages with a good energy plan.. So there was something of a contradiction there. Or perhaps this characterization was a description of what would happen if there isn't a worldwide effort…I'm not quite certain. You can watch that one clip HERE or you can watch the whole speech at the website of ABC News' great Denver affiliate KMGH by clicking HERE. It's worth watching -- he also pushed back against a 9/11 conspiracy theorist heckling him. "Everybody knows that global warming is real," Mr. Clinton said, giving a shout-out to Al Gore's Nobel Peace Prize, "but we cannot solve it alone." What message do you think the cartoonist is trying to convey? In the aftermath of Cyclone Nargis in Burma , the world’s attention is rightly focused on the unfolding human tragedy. This storm is already one of the deadliest cyclones of all time, with up to 100,000 people loosing their lives, and another 1.5 million left destitute and homeless. The incompetence and corruption of the Burmese military regime is exacerbating an already gruesome situation. The impact of the storm was also made worse by the fact that much of the coastline had been denuded of trees, making areas more vulnerable to the deadly storm surge. But what about the storm itself? Sadly, it seems we can expect many more tragedies like this in the future as human induced climate change proceeds apace. Nargis was the first named storm of the 2008 North Indian Ocean cyclone season , forming on April 27 in the central Bay of Bengal. Nargis rapidly intensified to attain peak winds of at least 165 km/h (105 mph) on May 2; the Joint Typhoon Warning Center assessed peak winds of 215 km/h (135 mph) - making it a rare category 4 storm. Sea surface temperatures were over a full degree Celsius above average in the region where Nargis intensified before landfall, as can be seen from this May 1 National Oceanographic and Atmospheric Administration satellite map. The storm pushed a 12 foot wall of water onto the densely populated Irrawaddy delta in central Myanmar. The result was the worst disaster ever in the impoverished country. It is impossible to link any single storm to climate change but there is mounting scientific evidence that our warming world will produce more intense storms such as Nargis, with a predicable human toll. Last year, Cyclone Sidr slammed into Bangladesh, killing as many as 10,000 people and leaving 20,000 homeless. “While we can never pinpoint one disaster as the result of climate change, there is enough scientific evidence that climate change will lead to intensification of tropical cyclones,” said Sunita Narain, director of the Indian environmental group Center for Science and Environment. The IPCC also noted that based on a range of models, it is likely that future tropical cyclones (typhoons and hurricanes) will become more intense, with larger peak wind speeds and more heavy precipitation associated with ongoing increases of tropical sea surface temperatures. Professor Kerry Emmanuel of the Massachusetts Institute of Technology reported in the journal Nature in 2005 that warmer oceans worldwide are making devastating storms such as Hurricane Katrina more likely by making cyclones on average more powerful and longer lasting. He found that the destructive power of tropical cyclones worldwide had increased by 70% in the last 30 years. Another paper was published in the prestigious journal Science , backing up Emmanuel’s disturbing findings. These researchers found that the number of deadly Category 4 and 5 storms worldwide has almost doubled in the last 35 years. This is no act of God. The authors of both these papers attributed this disturbing trend at least in part to human-induced climate change. Imagining cyclones becoming more powerful is like imaging Cher with a more flamboyant wardrobe. Even an average sized hurricane packs 200 times more energy than the electrical generating capacity of the entire planet. While this cold statistic is hard to imagine, the physical evidence of that massive power sadly is not. As the human tragedy unfolds in Burma, we should remember that these grim disasters are becoming more likely due to our warmer world - and our continued addiction to fossil fuels. BANGKOK, Thailand: A cyclone with winds up to 120 mph (190 kph). A low-lying, densely populated delta region, stripped of its protective trees. When Cyclone Nargis struck Myanmar's Irrawaddy delta and pushed a wall of water 25 miles (40 kilometers) inland, it had all the makings of a massive disaster. "When we saw the (storm's) track, I said, 'Uh oh, this is not going to be good," said Mark Lander, a meteorology professor at the University of Guam. "It would create a big storm surge. It was like Katrina going into New Orleans." Forecasters began tracking the cyclone April 28 as it first headed toward India. As projected, it took a sharp turn eastward, but didn't follow the typical cyclone track in that area leading to Bangladesh or Myanmar's mountainous northwest. Instead, it swept into the low-lying Irrawaddy delta in central Myanmar. The result was the worst disaster ever in the impoverished country. It was the first time such an intense storm hit the delta, said Jeff Masters, co-founder and director of meteorology at the San Francisco-based Weather Underground. He called it "one of those once-in-every-500-years kind of things." "The easterly component of the path is unusual," Masters said. "It tracked right over the most vulnerable part of the country, where most of the people live." When the storm made landfall early Saturday at the mouth of the Irrawaddy River, its battering winds pushed a wall of water as high as 12 feet (3.6 meters) some 25 miles (40 kilometers) inland, laying waste to villages and killing tens of thousands. Most of the dead were in the delta, where farm families sleeping in flimsy shacks barely above sea level were swept to their deaths. Almost 95 percent of the houses and other buildings in seven townships were destroyed, Myanmar's government says. U.N. officials estimate 1.5 million people were left in severe straits. "When you look at the satellite picture of before and after the storm the effects look eerily similar to Hurricanes Katrina and Rita in how it inundated low-lying areas," said Ken Reeves, director of forecasting for AccuWeather.com. The Irrawaddy delta "is huge and the interaction of water and land lying right at sea level allowed the tidal surge to deliver maximum penetration of sea water over land," Reeves said. "Storms like this do most of their killing through floods, with salt water being even more dangerous than fresh water." The delta had lost most of its mangrove forests along the coast to shrimp farms and rice paddies over the past decade. That removed what scientists say is one of nature's best defenses against violent storms. "If you look at the path of the one that hit Myanmar, it hit exactly where it was going to do the most damage, and it's doing the most damage because much of the protective vegetation was cleared," said Jeff NcNeely, chief scientist for the International Union for Conservation of Nature. "It's an expensive lesson, but it has been one taught repeatedly," he said. "You just wonder why governments don't get on this." According to the Washington-based Mangrove Action Project, Burmese researchers have found that 82.76 percent of mangroves in the Irrawaddy delta were destroyed between 1924 until 1999. That echoes a global trend. "The force of the cyclone could have been greatly lessened and much loss in life and property damage could have been averted if healthy mangrove forests had been conserved along the coastlines of the Irrawaddy delta," Alfredo Quarto, the conservation group's executive director, said in a statement. Some environmentalists also suggested global warming may have played a role. Last year, the Intergovernmental Panel on Climate Change concluded that warming oceans could contribute to increasingly severe cyclones with stronger winds and heavier rains. "While we can never pinpoint one disaster as the result of climate change, there is enough scientific evidence that climate change will lead to intensification of tropical cyclones," said Sunita Narain, director of the Indian environmental group Center for Science and Environment. "Nargis is a sign of things to come," she said. "The victims of these cyclones are climate change victims and their plight should remind the rich world that it is doing too little to contain its greenhouse gas emissions." Weather experts, however, are divided over whether global warming is a factor in catastrophic storms. At a January conference of the American Meteorological Society, some postulated warmer ocean temperatures may actually reduce the strength of cyclones and hurricanes. Masters, at Weather Underground, said Wednesday that in the case of Nargis, the meteorological data in the Indian Ocean region "is too short and too poor in quality to make judgments about whether tropical cyclones have been affected by global warming." Despite assertions by Myanmar's military government that it warned people about the storm, critics contend the junta didn't do enough to alert the delta and failed to organize any evacuations, saying that made the death toll worse. "Villagers were totally unaware," said 38-year-old Khin Khin Myawe, interviewed in the hard-hit delta town of Labutta. "We knew the cyclone was coming but only because the wind was very strong. No local authorities ever came to us with information about how serious the storm was." The India Meteorological Department, one of six regional warning centers set up by the World Meteorological Organization, began sending regular storm advisories April 27. The information appeared in Myanmar's state-run newspapers, radio and television 48 hours ahead of the storm. But the international advisories said nothing about a storm surge. And Myanmar, unlike its neighbors Bangladesh and India, has no radar network to help predict the location and height of surges, the WMO said. There also wasn't any coordinated effort on the part of the junta to move people out of low-lying areas, even though information was available about the expected time and location of landfall. "How is it possible that there was such a great death toll in the 21st century when we have imagery from satellites in real time and there are specialized meteorology centers in all the regions?" said Olavo Rasquinho of the U.N. Typhoon Committee Secretariat. Bangladesh has a storm protection system that includes warning sirens, evacuation routes and sturdy towers to shelter people, measures that were credited with limiting the death toll from last year's Cyclone Sidr to 3,100. Atiq A. Rahman, executive director of the Bangladesh Center for Advanced Studies and a disaster specialist, said Myanmar's death toll would have been lower if it had such a system. "Taking some action to move people from affected areas would have dramatically helped reduce the numbers of causalities. Absolutely," Rahman said. But junta officials and some weather experts said evacuating a large area with millions of residents would have been nearly impossible, given the poor roads, the distance to some villages and the likely refusal of some families to leave. "Even if they warned them, they can't go anywhere. Or they are afraid to go anywhere because they are afraid of losing their property," said Lander, the University of Guam professor. "It is debatable how much of a mass exodus you could have had." Associated Press writer Lily Hindy contributed to this report. What is the link between mangrove swamp and cyclone ? How do they offer a protective zone? Why do you think the government clear the mangrove swamp? Singapore coast line used to be protected by mangrove swamp. Will a similar flooding destroy Singapore? Development vs environment protection . Which will you choose? Puppeteers, please take note of the time and venue. We have chosen Lottery A, what about you? That's why The Ess Army is formed, committed to promoting awareness of climate change and saving our one and only Earth by project of The Puppet Show @ AMK Hub and promoting usage of organic insect repellant. Inspired? Join the army in fighting against climate change! Spread the word on global warming! A variety of issues are often raised in relation to global warming. One is ocean acidification. Increased atmospheric CO2 increases the amount of CO2 dissolved in the oceans. CO2 dissolved in the ocean reacts with water to form carbonic acid, resulting in acidification. 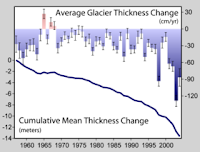 Ocean surface pH is estimated to have decreased from 8.25 near the beginning of the industrial era to 8.14 by 2004, is projected to decrease by a further 0.14 to 0.5 units by 2100 as the ocean absorbs more CO2. Since organisms and ecosystems are adapted to a narrow range of pH, this raises extinction concerns, directly driven by increased atmospheric CO2, that could disrupt food webs and impact human societies that depend on marine ecosystem services. Global dimming, the gradual reduction in the amount of global direct irradiance at the Earth's surface, may have partially mitigated global warming in the late twentieth century. From 1960 to 1990 human-caused aerosols likely precipitated this effect. Scientists have stated with 66–90% confidence that the effects of human-caused aerosols, along with volcanic activity, have offset some of the global warming, and that greenhouse gases would have resulted in more warming than observed if not for these dimming agents. Ozone depletion, the steady decline in the total amount of ozone in Earth's stratosphere, is frequently cited in relation to global warming. Although there are areas of linkage, the relationship between the two is not strong. Global warming will have serious impacts on the environment and on society. Higher temperatures will cause a melting of ice in Greenland and Antarctica. This will accelerate the rise of sea level. The speed at which global warming is expected to occur in the 21st century is faster than most plant and animal species will be able to cope with. Some will adapt but others will suffer and may become extinct. Global warming will affect agriculture. New crops will be able to be grown in areas that are currently too cold to support them. However, more pests and diseases may offset any benefits higher temperatures may have. Water resources will also be affected. Some reservoirs may dry up if temperature increases, especially if rainfall also decreases. Rising sea levels may pollute fresh groundwater supplies with salt water. Global warming will also affect human health. There may be more heat-related illnesses in hotter summers, and increased breathing problems as higher temperatures increase air pollution in cities, reducing air quality. The malaria mosquito may also be able to spread to other regions of the world where it is currently too cold to survive and breed. More extreme weather, for example storms, floods and droughts will have severe impacts on the environment and on society. The poorest people in society will unfortunately be those least able to cope with the impacts of global warming. Often when we hear talk of climate change in the news media, it is about mankind's pollution of the atmosphere with extra greenhouse gases that is causing global warming. Scientists know however, that climate change on Earth has not just happened in the last 100 years, and that earlier changes were not due to mankind at all. In fact, the Earth's climate is changing all the time, over hundreds, thousands, millions and tens of million of years. Different natural processes cause the climate to change, over different amounts of time. Global warming today may be due to man-made pollution but it is only a snapshot of the evolution of climate during the whole of Earth history. What makes man-made global warming so relevant to us however, is the speed at which it is taking place. Energy is produced to generate electricity and to keep us warm. Most energy is produced by the burning of fossil fuels, like coal, oil and gas, which release carbon dioxide, a greenhouse gas. Fuel burnt in our cars also releases carbon dioxide. As an individual, you have little control on how your energy is produced. However, you can control the way in which you use that energy. Using less energy means less needs to be produced. Hence less carbon dioxide is released into the atmosphere. There are many ways we can all help to reduce our use of energy and the pollution of the atmosphere with carbon dioxide. Use buses and trains instead of cars, as they can carry far more people in one journey. This cuts down the amount of fuel used. Walking or cycling whenever you can will be even more beneficial, as it does not create any pollution. It will also benefit your body, as regular exercise will keep you fit and healthy. If your parents must use the car, ask them to avoid using it for very short journeys if possible, as this creates unnecessary pollution. Try to encourage them to share their journeys with other people, for example when they go to work or go shopping. Also encourage them to drive more slowly as this produces less carbon dioxide. We can also save energy within our own homes which contributes extra carbon dioxide in the atmosphere. Turning off lights when they are not needed and not wasting electricity will reduce the energy demand. Less electricity will need to be produced and so less coal, oil and gas will have to be burnt, resulting in less carbon dioxide. There are way too many severe effects of global warming, too many to be listed. Hence, as long as we continue to stay on this damaged earth and not doing anything, we would carry on suffering. So, for the well- being of mankind and out of own good will, lets all play a part in saving the environment! Decades after most countries stopped spraying DDT, frozen stores of the insecticide are now trickling out of melting Antarctic glaciers. The change means Adélie penguins have recently been exposed to the chemical, according to a new study. The trace levels found will not harm the birds, but the presence of the chemical could be an indication that other frozen pollutants will be released because of climate change, says Heidi Geisz, a marine biologist at Virginia Institute of Marine Science in Gloucester in the US. She led a team that sampled DDT levels in the penguins. She worries that glaciers could release an alphabet soup of chemical pollutants into the ocean, including PCBs and PBDEs – industrial chemicals that have been linked to health problems in humans. "DDT is not the only chemical that these birds are ingesting and it is certainly not the worst," Geisz says. Chemists first synthesised DDT (dichloro-diphenyl-trichloroethane) in 1874, but the chemical wasn't used an insecticide until the 1940s. DDT spraying slashed malaria rates in many countries, but the chemical's environmental toll was starting to cause concern. Rachel Carson's 1962 book, Silent Spring, brought these concerns to the general public, and described, amongst other things, how birds of prey exposed to high levels of DDT lay thin, easily cracked eggs. In 1972, the US banned the pesticide, and the UK followed suit in 1984. Some countries still use DDT to fight mosquito-borne diseases such as malaria and dengue, but worldwide usage has plummeted – from 40,000 tonnes per year in 1980 to 1,000 tonnes per year now. DDT latches onto small airborne particles then migrates toward the poles. Geisz, who has worked in Antarctica since 1999, sought to gauge long-term changes in pollutants found in the continent's seabirds. Derek Muir, a researcher at Environment Canada in Burlington, Ontario, says Arctic glaciers ought to store even more of the pesticide, but Arctic animals seem to be shedding the pesticide. "The declines in DDT in seals and seabirds in the Canadian Arctic and in polar bears in eastern Greenland suggest it is not having a large impact," he says. Even so, researchers ought to look more closely for evidence that melting glaciers are pumping chemicals like DDT into the Arctic, Muir says. To make that case stronger for Antarctica, Geisz plans to track the flow of other pollutants from glaciers to birds. So what is it about DDT that make it so bad? 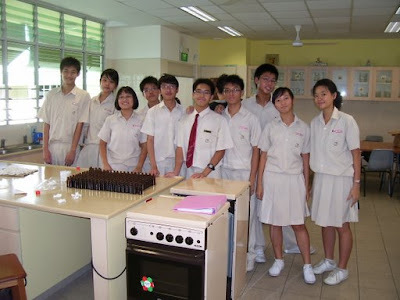 Our dear teacher, Mrs Ess, whose name inspired our group name, once said that when humans solve one problem, they create another five problems. DDT was used to combat against malaria-carriers, mosquitoes, successfully decreasing the number of malaria cases globally, making it the only pesticide to earn Nobel Prize. DDT is a kind of toxin that can kill off certain species (all that are six-legged and even eight-legged, and, occasionally, several other species such as bald eagles, brown pelicans and peregrine falcons). It is considered as a probable human carcinogen, proven to cause liver and biliary tract cancers and non-Hodgkin lymphoma, which is cancer of the lymphocytes, a type of white blood cells. When pregnant women are exposed to DDT, they are found to give birth prematurely or full term but to low birth-weight babies. However, although other problems were created, DDT itself were effectively successful in decreasing the number of deaths caused by malaria, such that DDT advocates have accused environmental activists of having "blood on their hands" and causing more than 50 million "needless deaths" by enforcing DDT bans in developing nations, while a famous writer, Michael Crichton, wrote that a ban on using DDT to control malaria "has killed more people than Hitler." The truth is, DDT is now banned in developed countries, but is still used in developing countries due to its cheap cost and effectiveness. From the article, though, we could see that although the chemical had been used as pesticide since the 1940s, it was not until recently that the penguins were exposed to it, due to the melting ice caps caused by an increase of 6°C in the region during the last 30 years. Another effect of global warming? This will be our blog for the WorldView360 Competition. It'll be further updated with our information at a later date. For now, do take note of our URL. To empower a sustainable society through 3Ps: People, Programme and Passion. 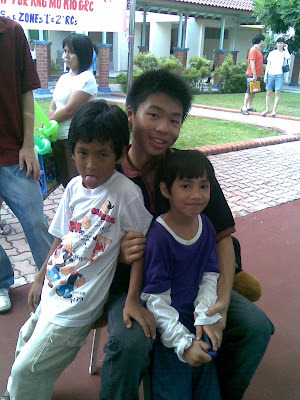 To promote environmental awareness and spread the ways in which one can change to help protect the earth. By making use of the 3P's, we invited and interviewed people to help our cause, and use programmes in which we can reach to the public, to drive the passion to save mother earth in the hearts of the people. Human efforts is useless in fighting global warming. If you have the chance, will you participate in efforts to slow down global warming? 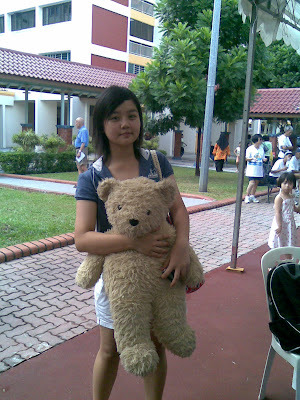 Poll was taken from 18 May 2008 to 7 June 2008 with 43 respondents.